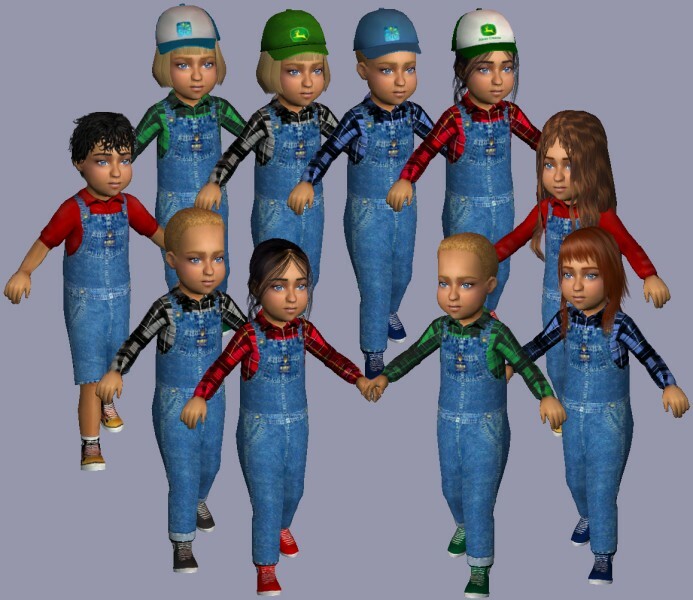 These overalls, without caps, use standard Maxis meshes that are already in your game. Includes long overalls with long-sleeved shirt in red, black, blue, and green plaid plus one with a plain red shirt. Also a pair of overall shorts with a red short sleeved shirt. Here is the set with caps - these require the mesh, which is included in the download. The hat is a permanent part of the clothing, and will fit all the Maxis toddler hairstyles, but some custom toddler hairstyles will poke-through the hat. 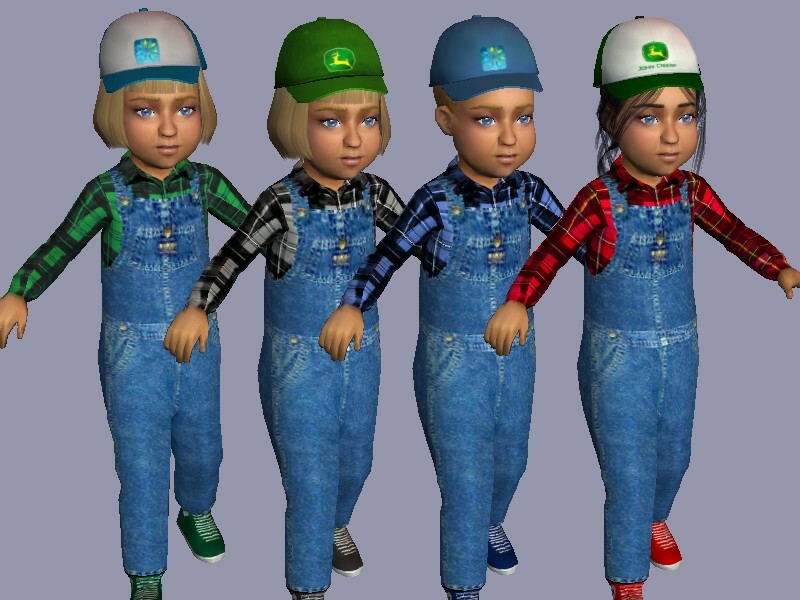 Recolors include the same shirts at the hatless version, plus "trucker" or "baseball" type caps with John Deere and MTS2 logos on them. 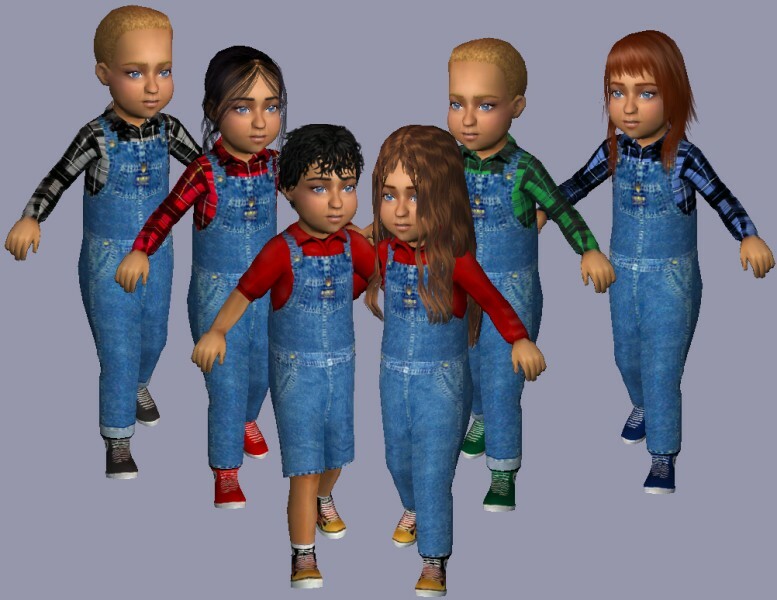 The mesh was made by combining the cap from the Maxis hairstyles with the Maxis toddler overalls mesh.